Drawing on the experiences of survivors of World War I, the author wrote a story of courage and endurance: the story of men who suffered physical and mental wounds; of volunteer nurses transported from their drawing rooms into carnage; and of doctors struggling to cope with the devastation. It is hard to believe that this year, 2014, sees the 100 year anniversary of World War I. What is tragic is also the fact that there are now no more living veterans from that war; the last dying in 2012 at the age of 110. It is this last point that makes books like this an invaluable addition to any home bookshelf and library, as it pulls on interviews with those who were there. However, this is not the usual book on the Great War, as it does not just tell the tale of those who fought in the traditional sense, but also looks at the stories and experiences of those groups of unsung heroines, the Nurses. Using extensive research this Author produces a compelling account of ordinary people faced with extraordinary circumstances. Ladies taken out of the security and safety of their drawing rooms and thrown into the horrors of war, men who traded in pitchforks for bayonets some who would never return and those who did, would return changed forever. This is a book full of poignant accounts of how these people watched, not only their peers die in the Great War, but also the world they knew and loved. With great skill this Author is able to weave together the chronology of the war with firsthand accounts of the women who nursed these wounded and broken men. Not all the injuries they nursed were visible, some were hidden in the depths of the mind, making this a book that hand me drawing my breath as I read on. As the majority of the accounts in this book are from the Nurses point of view, with some given by men in the position of doctors and orderlies, this book also highlights how, out of great suffering some important aspects of medical care were advanced. Each chapter also focuses on a different part played in evacuating the British Soldier from the frontline to the eventual hospital care they would receive if they made the journey alive; the reader is given accounts from the stretcher bearer in the dreaded No Man’s Land to the volunteers at the stations who changed pillow cases and lit cigarettes for the wounded, sometimes just holding a hand and talking to them, through to the final destination of these injured men. It is by no means an easy read, and I found myself in awe at these women who would sometimes work up to 22 hours a day without complaint, and in such a matter of fact way it would put modern day medical staff to shame. Their living conditions were primitive and for many came as a huge shock when compared to the cosseted lives they had led up to the outbreak of war. I have read many books about WWI but this has to be amongst the best I have read. It shows how courage can come in many forms and from the most unlikely people, but it also highlights the point that, although the war may have destroyed a generation of men, both mentally and physically, it actually played a large and important role in recreating the role of women in that time. 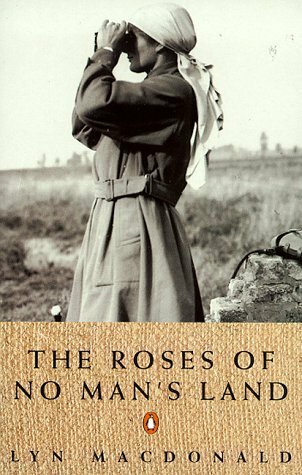 I would highly recommend this book to all readers regardless of whether they are avid WWI readers or not. We can learn a lot about attitude from this book. In my garden of memory. 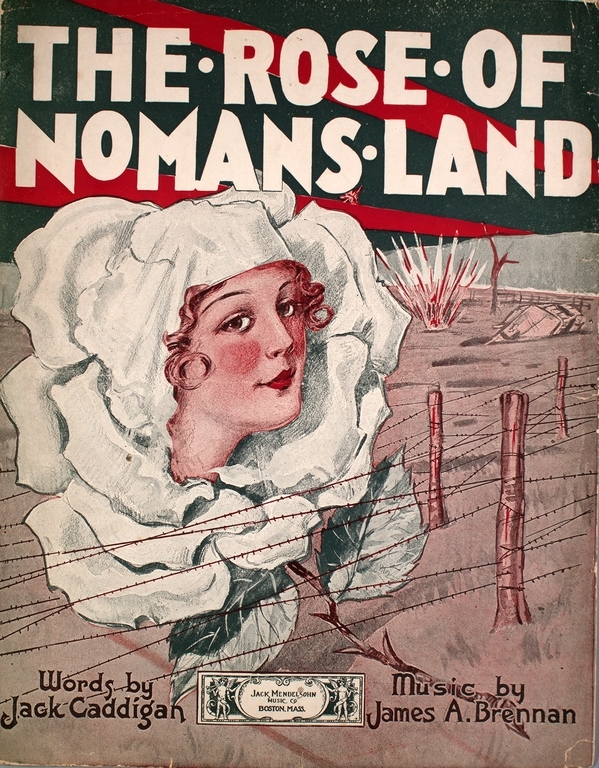 She’s the rose of “No Man’s Land”. We’ve learned to love her so. This entry was posted in No Spoiler Reviews and tagged 5 Thumbs, Death, experience, France, Historical, No Mans Land, Non-Fiction, Nurses, postaday, Red Cross, WWI. Bookmark the permalink.